Whether parcel, big & bulky, or white glove, meeting your customers’ expectations has never been easier. Ryder Last Mile’s vetted carriers, dedicated network, and nationwide hubs, let you fulfill customers’ orders within two days at lower costs. 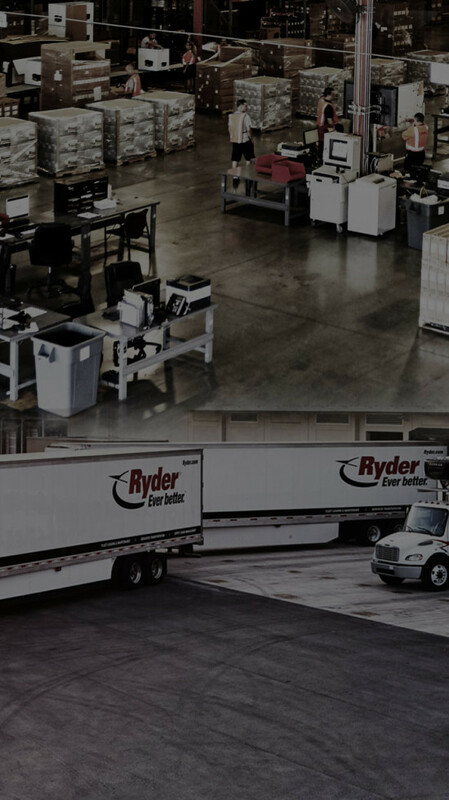 Ryder’s industry-leading last mile delivery capabilities are available as part of a complete solution or as a separate service. Through innovative technology you receive real-time end-to-end visibility into the transportation of your products quickly and seamlessly. We reach more than 95% of the U.S. and Canada within two days. Our last mile solution allows you to overcome transportation network challenges, meet rising customer demands and add the personalized final touch of service whether your customers are receiving a small package or a large home appliance. Want to Join our Delivery Carrier Network? Inspection, preparation, and assembly prior to delivery to minimize time at consumer’s home. Have questions about your delivery? Have a Ryder Expert contact you to find out how we can help your business. Ryder Last Mile is for businesses shipping parcel or big & bulky products to customers, or want to provide customers with white glove service. Ryder Last Mile is not for single shipment items. Number of deliveries per month. Built on innovation and best practices, these solutions allow you to meet customer demands seamlessly through one and two day order fulfillment and delivery. Interested in becoming a Last Mile Carrier?